You can upgrade to a gift box for just £1.40 extra per box. Just add as many as you would like to your cart using the button on this page. 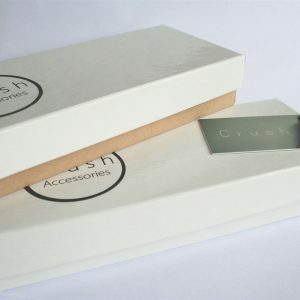 Each purchase is tissue wrapped as standard and placed in a lovely white and brown branded gift box tied with black cord. With a card and thank you note added it is then sent off to you inside our white environmentally friendly mailing bag.